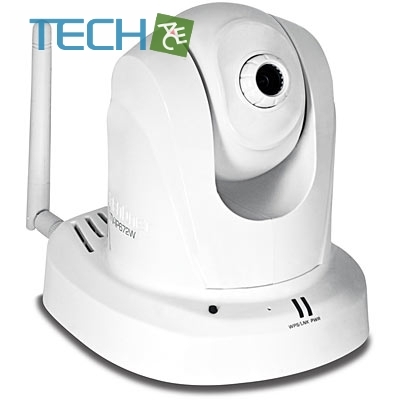 The Megapixel Wireless N PTZ Internet Camera, model TV-IP672W,provides security over a large area. Pan the camera side-to-side aremarkable 340Â° and tilt up-and-down 115Â°from any Internet connection. 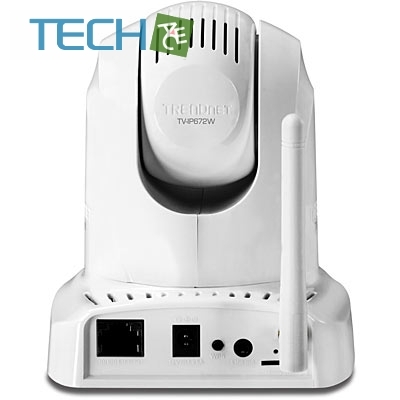 Wireless n technology providesunsurpassed wireless coverage and improved streaming video quality.Add this camera to your wireless network at the touch of a buttonwith Wi-Fi Protected Setup (WPS). Record 1280 x 800 Megapixel (WXGA) video at up to 30 frames persecond (fps). Manage up to four video profiles to record HD videowhile streaming low resolution video to a compatible smart phone atthe same time. 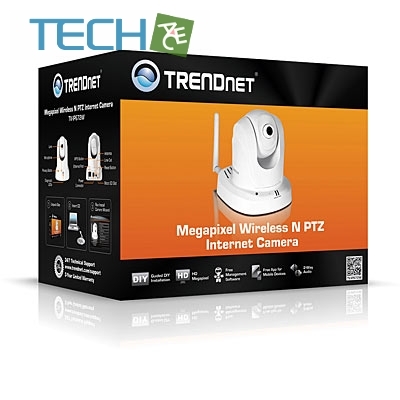 Manage up to 32 TRENDnet cameras with the includedcomplimentary camera management software. 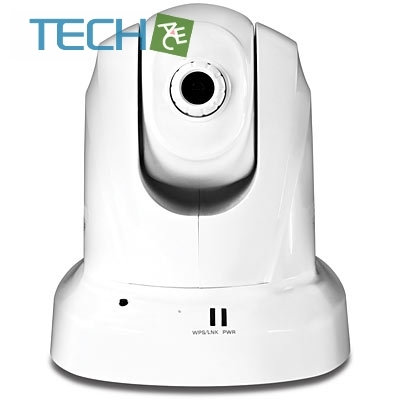 Advanced features includeadjustable motion detection recording areas, email alerts,scheduled recording sessions, pan / tilt, Auto-Patrol, H.264 /MPEG-4 / MJPEG image compression, date-and-time overlays, aMicro-SD card slot for backup storage, two-way audio (speakers notincluded), an adjustable lens, and four times digital zoom. A wall/ ceiling mounting kit is included and thecameraâ€™s off white housing blends into mostenvironments.